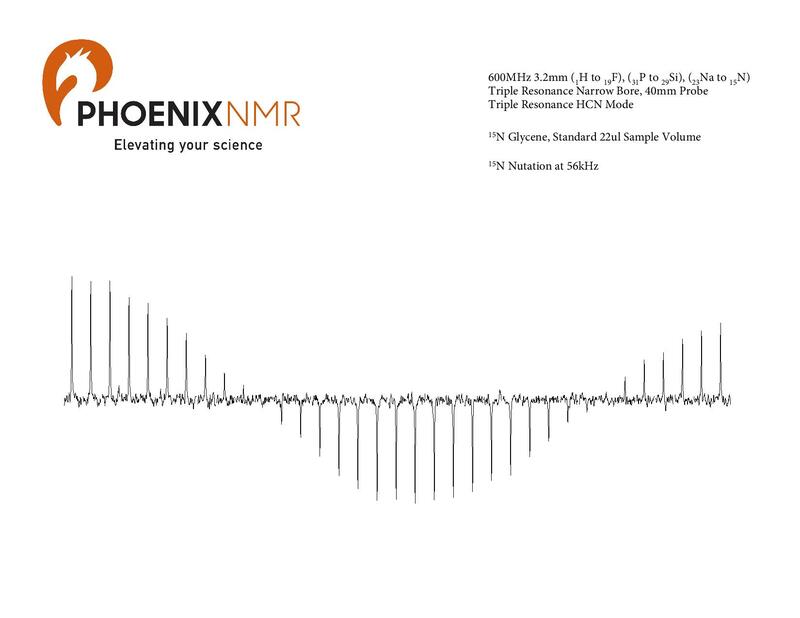 PhoenixNMR LLC is very pleased to announce an agreement with Bruker Biospin for the supply of PhoenixNMR probes on new and upgrade Bruker systems. 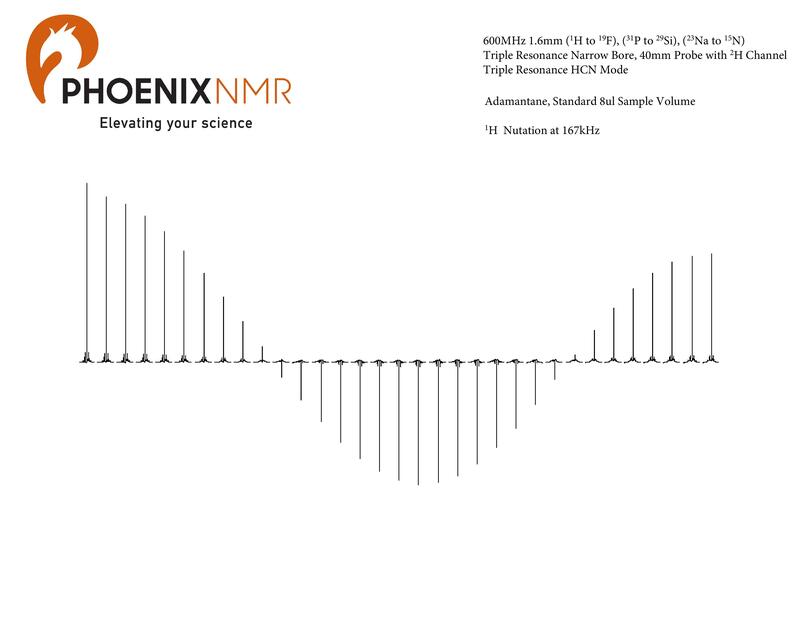 Under the terms of the agreement, which is effective worldwide, Bruker will offer PhoenixNMR probes to supplement their solid state probe product line. 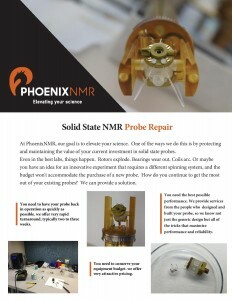 PhoenixNMR will provide installation and warranty service on its probes. 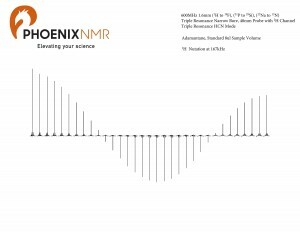 The unique capabilities of PhoenixNMR to provide full broadband triple resonance probes, with the ability to tune to < 15MHz, and to add simultaneous H&F capability, all in a standard bore format is a powerful matchup with the capabilities of the Bruker Biospin console and magnet systems. Take your science to new heights tomorrow by starting a conversation today. Give your local Bruker salesperson a call and see what they can do for you. Thank you to those who stopped by to see us at ENC in Pittsburgh. 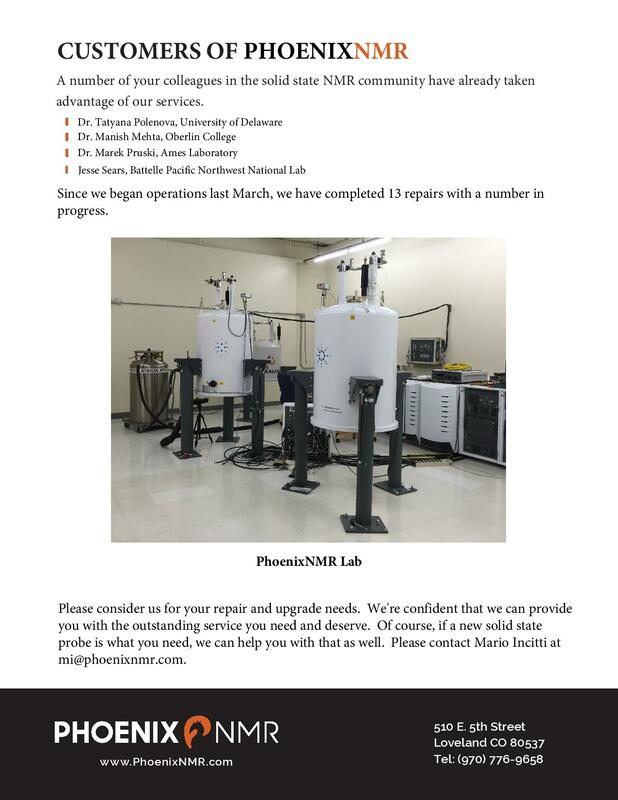 We enjoyed hearing from all of you about the science that you are exploring and talking with you about how our products can help you achieve it. 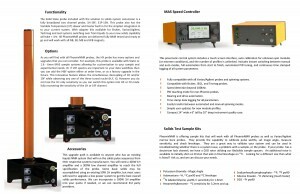 Take a look below at our newest offerings and click here for a quote or more information. 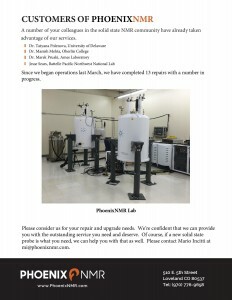 Check out our Repair Services!! Just added 600MHz 1.6mm with 2H channel data. 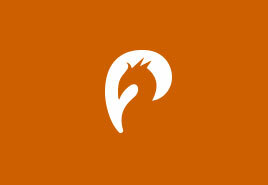 Check out this new data here or on our products page. See you at ENC 2016! It has been an amazing inaugural year for Phoenix NMR and we’re eager to share our stories of success with everyone at this year’s ENC in Pittsburgh. 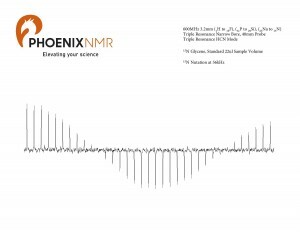 Just added 3.2mm HXY spectra at 600MHz. 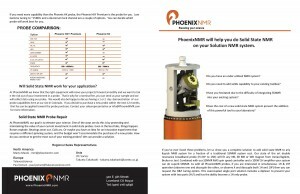 Check out this new data here or on our products page.